While setting up a new WooCommerce online store, every one of us deliberately involved in the first half work that is creating a wonderful storefront to make the customer experience a breeze. But what about the second half, the post-purchase experience? To leave a lasting impression to your customers, the post-purchase experience is equally important. Whenever customer interacts with your store via creating a new account, making a purchase, abandoning checkout, canceling an order or any other, the only way we communicate with them is email. Surely, a boring email template never creates a lasting impression. According to a survey, around 66% of people prefer an email that is designed beautifully and more engaging. So you need a customized email design that showcase your store standard and better engage with your customers. Not just this, it also has some tangible revenue benefits. Want to know how to use this email as a revenue trump card? Here we have organized some marketing tips for top 3 essential emails. When a customer signs up on your store, you can feature this email with a product collection banner and discount that encourages them to make an actual purchase. Upsell – Rather than just sending an email with a tabulation to display the product details, use it an opportunity to upsell additional products. Maybe something like “Recommended Products” or “You may also interested in”. While sending the product delivery emails, along with a thanks message add social links to your emails & request them to add reviews or testimonials for your online store. This helps you to know your customer feedbacks and encourages other new customers to know that your company is worth doing business with. 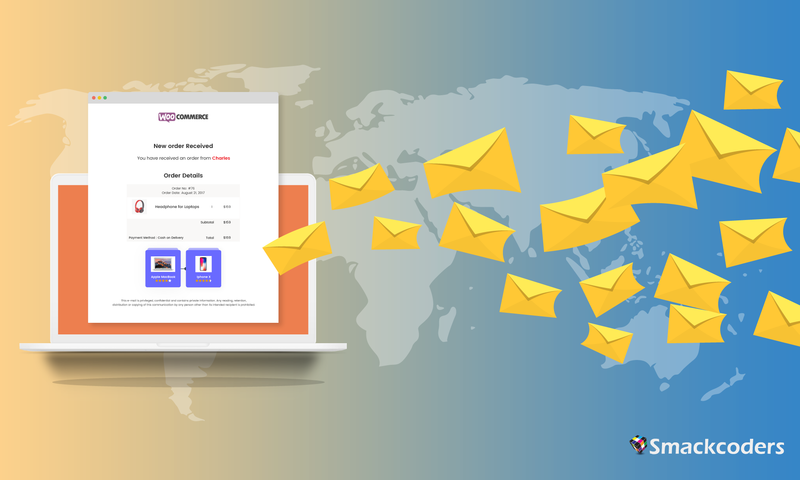 Get to know more about Email Customizer for WooCommerce and lets us know what you think in the comments below or write to us at [email protected].